The Bottle: A small rectangle plastic bottle. I think this is just for sampling purposes. 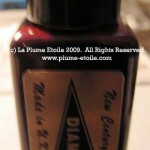 The Color: This is a true red color. It skews more orange-red than blue-red, but it is just a great red color. Consistency: Saturated and consistent. 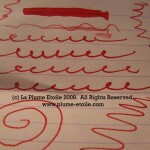 It normally flowed well, although sometimes it would get clogged in the nib and flow a little thin. I know others use this ink without any problems, so my problems may have been partially caused by the pen or the paper I was using. 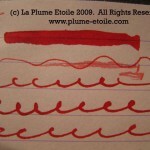 However, these problems have been reduced when using other inks in the same pen. Other Considerations: As much as I liked the color of this ink, it stains. I realize most inks will stain clothing, fingers, etc. However, this ink also stained the interior of my pen. I tested the ink in a modified Pilot Varsity, so I was not using a converter or sac. 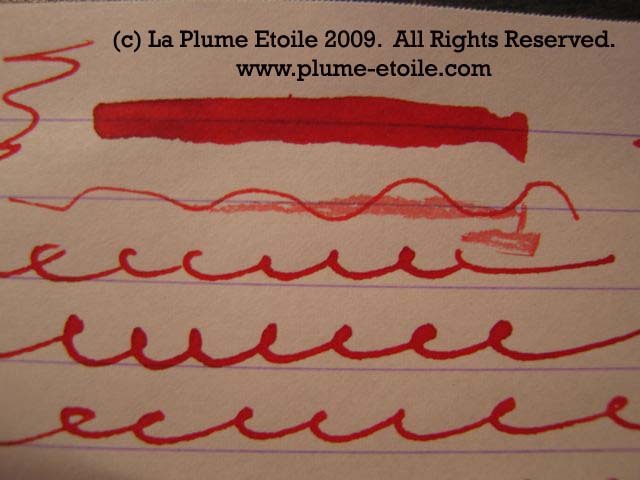 After rinsing the pen, the plastic barrel was stained a light red color, which is something I have not often seen with other inks. 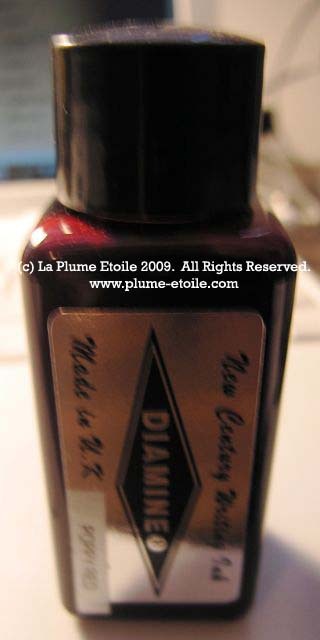 I have to say I would be very hesitant to use this ink in any of my vintage pens and would only use it in something disposable like a modified Pilot Varsity. 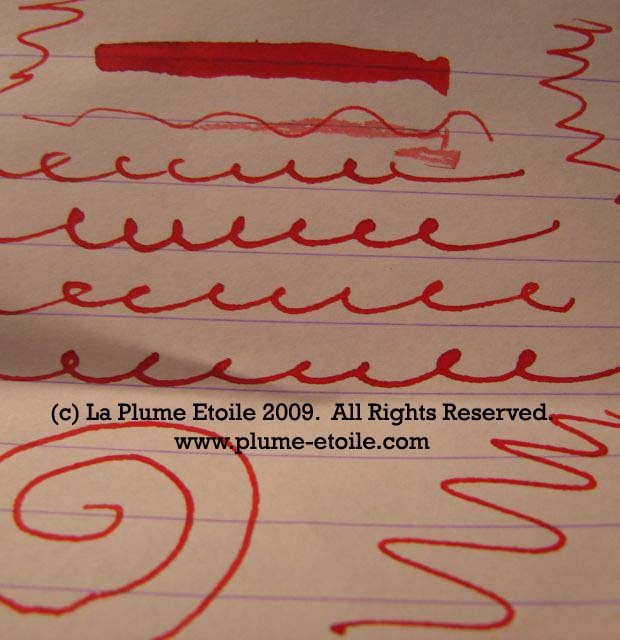 Like I said, I know other people have used this ink with no problems, so my experience may be an isolated incident. If you like the color, try it and see how it works for you!